With the skills of a survivalist and the courage of a madman, Big-Game Hunters tend to baffle everyone with their desire to confront the most terrifying creatures in the galaxy. 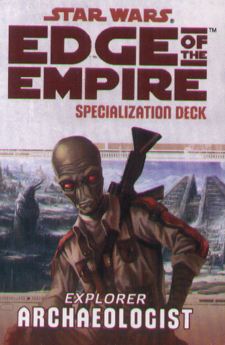 This deck requires the Edge of the Empire Core Rulebook and Enter the Unknown. It includes cards for all 20 talents available in the Big-Game Hunter specialization.